Inspired by a Pogo video, I researched the microwave displayed, and what I found was varying products depending on the geographic region. 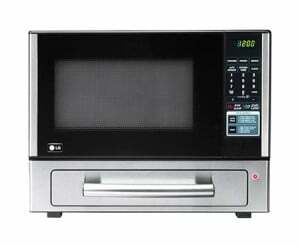 The product geared towards Americans, a microwave / oven combination. Now you too can warm up pizzas, frozen foods, and biscuits. Talk about stereotypical fattening American cuisine. Leaves one wanting something to actually help you cook. Perhaps the goal was to focus on “heating”. The feeling you get when you create something, to have a small adventure experiencing something new, or simply enjoying the company of friends and family is amazing. Great life experiences are what makes me happy. Sifting through Facebook the other day, I noticed my feed has changed over the last few years. It once was filled with the photos of friends, updates about events in their lives, and information that you would typically relay to stay in touch. Today it is filled with random articles written by others instead of the person sharing the link, “inspiring quote here” images churned out by click bait sites, endless Buzzfeed lists, and other “quick hit” media. Our time on earth is finite. We can only stretch attention so much. Why not use that time to add something to the world–instead of churning the noise? Below is a collection of links to inspire your art. Enjoy. Create. Go and make something. Article about Dieter Rams and his legacy. Presents his famous, Ten Principles for Good Design. Includes an exclusive interview with Dieter Rams.